Learn How To Get Curly Hair Men With Straight Manes Dream Of! Guys with straight hair can spend hours trying to figure out how to get curly hair men with natural or thick texture have since birth. And while gents with curly hair are going right in the opposite direction, these two groups of men still have one thing in common: the hair transformation they dream of is pretty tricky to achieve. Today’s post is a helping hand for men who want to play around with curly and twisty textures. Everything you need for getting your hair curly is here: from basic tips to effective products and easy tutorials. Let’s add some oomph to your straight chevelure! 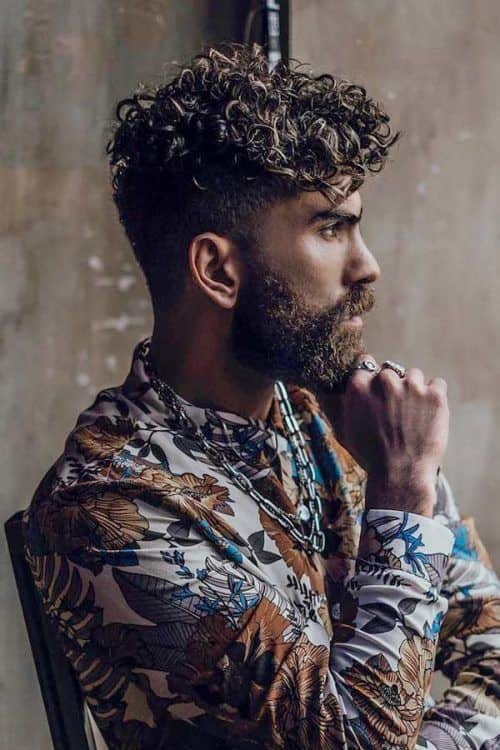 It’s no secret that here is a countless number of hairstyles for curly hair men with straight manes would like to recreate. Also, let’s don’t forget that there are many curly hair types. And though you can’t embrace it all at once, there are some basics that will help you to master your hair transformation, whatever it is. If you follow them thoroughly, you will be able to experiment with different curly styles and textures. For newbies, it’s better to start with deeply-cleaned and conditioned hair. Damp and wet hair is more manageable for styling, especially if you work with salt sprays. Make sure to wash your hair with organic, high-quality shampoo and a good softening conditioner. Always use a heat protectant. Besides saving you from damage and frizz, such products can make your hair dry quicker. If you want to achieve a natural wavy or effortless curly texture, salt sprays are your musts. When working with the product, lift your hair from the roots and then apply it. In this way, you will ensure that the spray is distributed evenly throughout your hair. Blow-drying is also an important step towards curly and wavy textures. 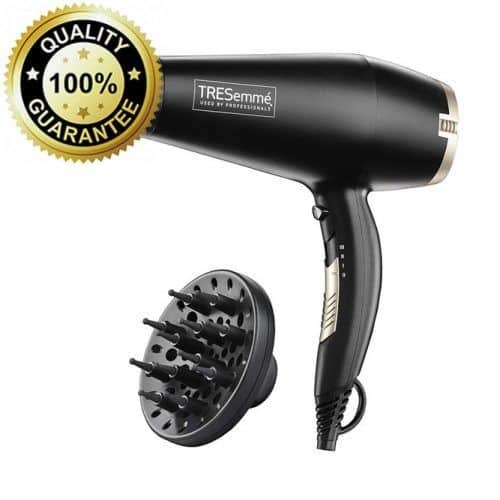 Most hair dryers come with a diffuser attachment, and that’s what you can’t do without. When blow-drying your hair, don’t forget to do it from the bottom up and place the air to your roots, slightly pushing your hair up and scrunching the strands with your hand. For a more distinctive look, you can try creating individual curls. Take a piece of hair, spritz it with salt spray, and blast the heat directly to it. When the style is dry, finish it with a strong-hold pomade or cream to keep it in place. There are no men curly hair can’t complement; this texture suits all guys. 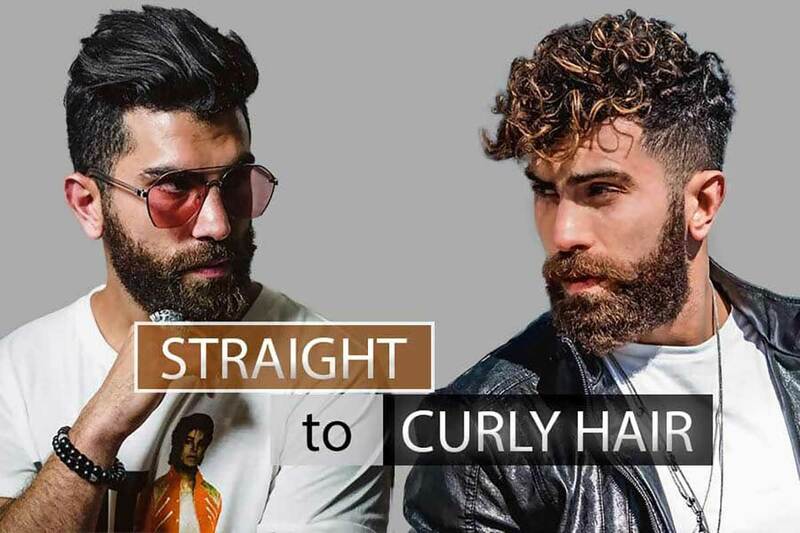 And now that you are familiar with the fundamentals of perfect curly looks, it’s time to see the best products and tools that will help you to turn straight mens hair into a curly mane. How about a versatile thermal product that can protect your straight hair and give you short curly hair men find to be super attractive and comfy? 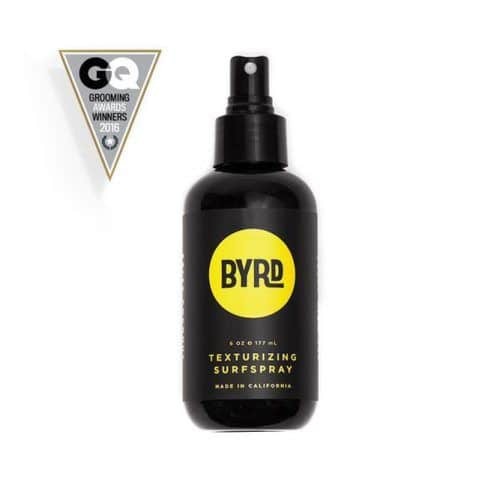 This heat-protectant works for any hair type and can be used as a leave-in conditioner. Those who are about to rock popular surfer hair looks should keep this sea salt spray for hair in their minds. The product is worth your attention because it contains coconut water, and together with vitamin B5, it will give you a natural shine and beachy volume. 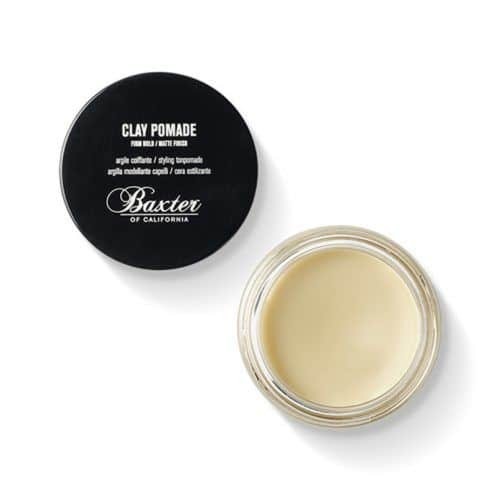 For curly styling, hair pomade works as a defining and setting finish. This strong-hold product will allow you to define, separate, and form your curly hairstyle, giving a natural hold without shine. 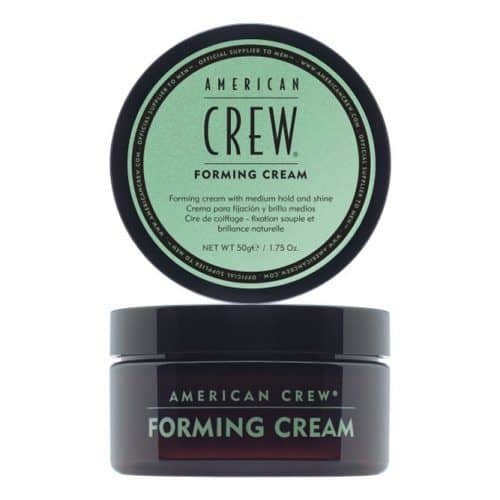 If you don’t like a matte finish left by hair wax, this forming cream will come in handy. It’s a pliable, soft product that leaves a natural shine while hydrating and conditioning your hair. And it works for all textures! Here comes one of the most effective hair products for men who want to curl their hair. 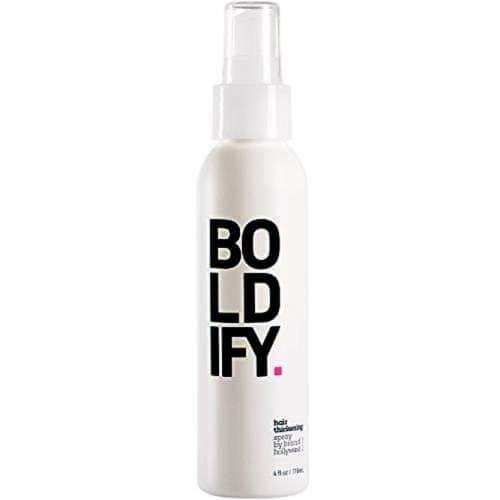 It’s a thickening spray that boosts volume in your hair, making your mane easier to style, and thus preparing for curls. 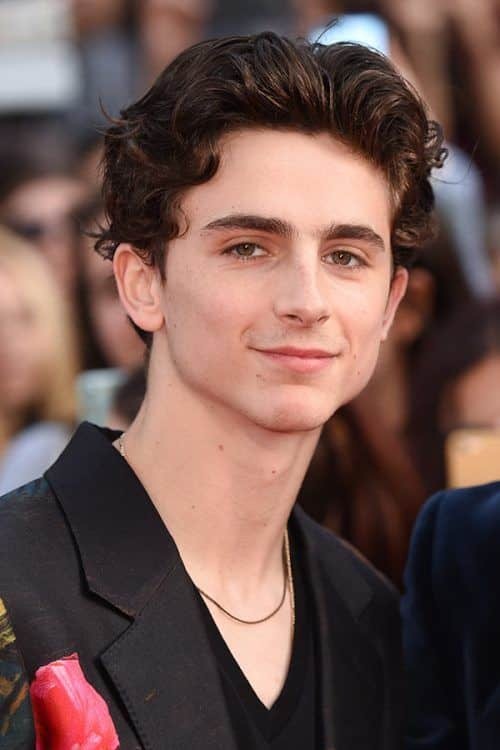 There’s no better way of how to style curly hair men with straight hair can go for than investing in the right styling arsenal. Apart from good styling products, you should have a nice blow dryer that is suitable for curly styling. And this professional dryer is a perfect example: its diffuser is designed specifically for creating full, voluminous, and natural curls. Okay, enough with the curly theory! It’s time to see how to get curly hair men from all around the globe love to flaunt with. 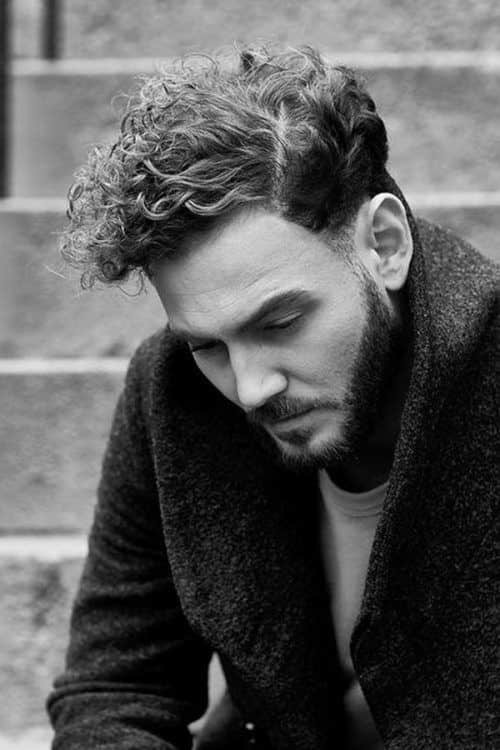 Here are two easy tutorials that will help you to master perfect curly hairstyles for men. Start by applying sea salt spray to your wet hair, making sure that you’re going right from the roots to tips. Bring all of your hair forward and go on to scrunching and lifting your mane. Then, take off a nozzle from your dryer and start blow-drying your hair while scrunching it. When your hair gets dryer, add some more sea salt spray and continue blow-drying it. Repeat it twice. Once the style is ready, finish it with a coat of strong-hold texturizing spray to set it in place. With this tutorial, you are going to learn how to curl short hair. 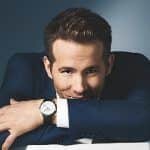 Some basic products and less than one hour are enough to get one of the most popular curly hairstyles men with any texture would like to try. Begin by preparing your hair: apply some heat protectant to your wet hair. Then, coat your hair with a thickening, sea salt texturizing spray. Start blow-drying your hair, holding the diffuser dryer with one hand and scrunching your hair with the other. 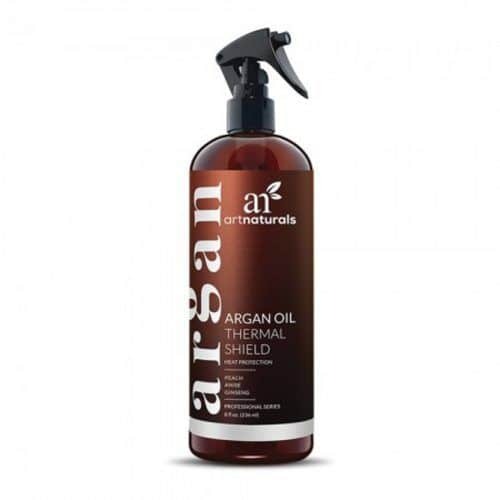 To enhance and moisturize your curls, apply some argan oil to the style. Create some individual curls by wrapping loose strands around your finger. Give your curly mane a finishing touch: tousle up the crown. It’s pretty natural that you’d like to change something in your style, whether it’s a length or texture. And since you have got to know the basics about creating curls, have seen our easy tutorials, and found out what products to consider, you can easily bring your hair experiment to life. Let curls into your life!